TV ad may be pulled for its sugary treat message, thanks to dental experts. An advert for sweets looks set to be taken off our TV screens following protests at its association of sugar with happiness. 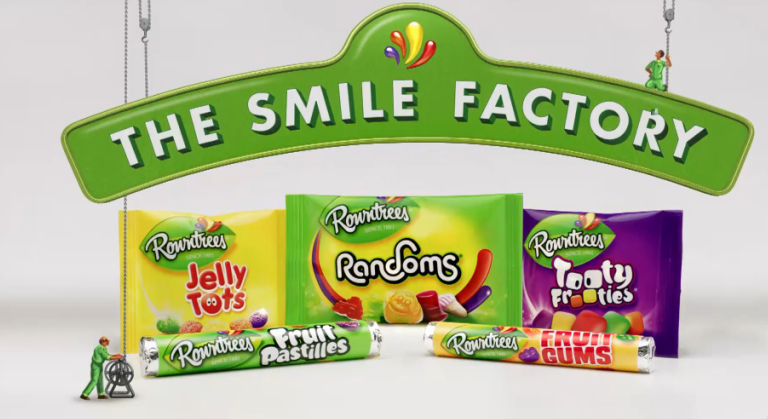 Rowntree’s ‘The Smile Factory’ ad campaign was slammed by dental experts at the British Society of Dental Hygiene and Therapy (BSDHT) for its message that sugary sweets make us smile. Now Nestlé is reconsidering its policy and looks set to withdraw the advert from television. The BSDHT claimed the advert was ‘misleading and irresponsible’ – even if it wasn’t directly targeting children. Nestlé says it’s dropping the strapline ‘The Smile Factory’ as part of the marketing campaign. President of the BSDHT, Michaela ONeill, says: ‘This is a positive action from Nestlé of which we are highly appreciative; they have listened to our concerns and recognised that real care is needed when advertising sugary foods, especially to children. ‘It is only with the support and actions of the food and drink industry that we can make an impact on the shocking state of children’s oral health in the UK. ‘More than 33,000 children underwent tooth extractions last year due to rotten teeth, what’s more, it is a much wider issue than oral health and is one of the key factors in the UK’s obesity epidemic. ‘We recognise that ‘The Smile Factory’ campaign was not intended to directly target children but through its use of bright colours and cartoon-like nature it did undoubtedly appeal to them.